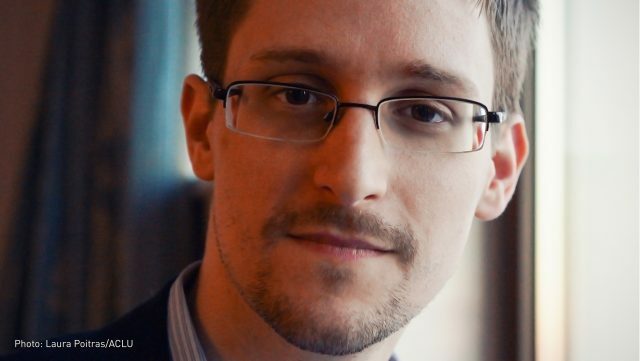 Edward Snowden will speak live to a Brandon University (BU) audience on May 9, discussing the ethics of mass surveillance and the role of public institutions like universities. Snowden rose to international prominence in 2013 when he revealed the scope and scale of U.S. intelligence agency mass surveillance, fueling debates over privacy and security that continue to this day. From his current residence in Moscow, Snowden will give a live lecture to a Brandon University audience, and will take questions from Brandon about mass surveillance and the role that universities can play in ethical debates about surveillance. There is no charge to attend the BU event, although space is limited. The talk is a joint production between Brandon University, the University of Winnipeg and the University of Lethbridge. The Snowden lecture will be streamed live to BU’s Harvest Hall, which features two large screens and ample space for more than two hundred guests. Doors open at 5 p.m. on Tuesday, May 9, for the event, with Snowden expected to begin speaking at 6 p.m. Refreshments and a cash bar will be available. For BU students, staff and faculty who are in Winnipeg, the event will also be presented live at the University of Winnipeg. Brandon University has also chartered a bus from Dauphin for the event. Dauphin residents are asked to pre-register with Barry Nadolny at NadolnyB@BrandonU.ca or by phone at either 204-622-2222, extension 6583, or 204-725-8745 to ensure their spot on the bus.